The applicant has been holding a residence permit with respect to national economic interest for at least 6 months prior to the submission of the application. The applicant has been holding a residence permit for any purpose for at least 6 months prior to the submission of the application and securities with a total nominal value of 300,000 EUR have been registered. Simultaneously, a third country applicant’s officially registered spouse and underage child can also submit an application for a national permanent residence permit. In case of the application submitted by a spouse there is another criterion that needs to be met, namely that their marriage was concluded 2 years prior to the actual submission of applications. Extended family members can only apply for a national permanent residence permit in accordance with general regulation, if in their case – in their own right – national economic interest applies. A third country national who with respect to national economic interest has been holding a residence permit for any purpose for 6 months, furthermore, his/ her spouse and underage child/ children have been holding a family residence permit – upon submitting their applications simultaneously – applications for a national permanent residence permit can also be handed in at the consular representation accredited to and operating in the country of nationality of the applicant or in the vicinity of the applicant’s regular and permanent place of residence. A third country national can request the issuance of a national permanent residence permit at the consular representation in a country - other than countries specified above – where the applicant is lawfully residing provided that there is no consular representation in the country the applicant’s permanent residence is registered to or in the country the applicant is from, in addition to this, his/ her entry is highly beneficial in terms of national economic interests. If the application for national permanent residence permit is submitted at a foreign representation with respect to national economic interest, the regional directorate the applicant’s future place of residence is registered to is in charge of taking the decision. In case the third country national stays lawfully with a residence permit at the territory of Hungary, considering his/her investment, the application for the national permanent residence permit may be lodged also at the regional directorate being competent for the applicant’s future place of residence. This regional directorate is in charge of deciding on the submitted application. The application for national permanent residence permit shall be lodged personally. At the time of application the proceeding authority records the biometric data (fingerprint, photograph) of the applicant. The administrative service fee of the procedure aiming the issuance of the national permanent residence permit is 60 EUR, which shall be paid at the foreign representation primarily in EUR or other convertible currency, or exceptionally in the legal currency of the country where the application is lodged. The administrative service fee of the application for national permanent residence permit lodged in Hungary is 10,000 HUF, which shall be discharged in form of duty stamp. In case the data of his/her child travelling together with the applicant are indicated in the applicant’s passport, the applicant must declare about the minor’s data on paper „A” of the application form, and he/she shall attach 1 photo about his/her child when submitting the application for national permanent residence permit. There is no specific procedural fee for the minor indicated on paper „A”. In case an application for national permanent residence permit referring to national economic interest is submitted at the consular officer, the decision will be made by the regional directorate competent for the applicant’s future place of residence. The application for the national permanent residence permit can be submitted by using the application form. Valid travel document such as passport must be presented at the time of application. A public document issued abroad, or a private document certified by a foreign court, administrative body, notary public, or any person authorized to issue authentic documents shall only have conclusive force under the Hungarian law, if it has been supplied with diplomatic authentication by a diplomatic or consular mission of Hungary operating in the country of the place of issue, unless otherwise provided by a statutory provision, international agreement, or the practice of reciprocity with respect to the matter. 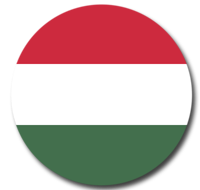 Documents issued in a language other than Hungarian can only be accepted, unless otherwise provided by law with respect to the matter, if the certified Hungarian translation is attached. In the procedure of application for issuance of national permanent residence permit referring to national economic interest, with the exemption of obligatory personal appearance laid down by law, the legal representation is obligatory. The third country national is obliged to attach valid power of attorney to the application for national permanent residence permit. For power of attorney the rules of Act on Attorney shall be applied, which says that power of attorney shall be put in writing. The power of attorney shall be signed by the mandator and the attorney by theirselves. Under power of attorney the attorney is entitled to take all actions that results in proper doing of tasks consigned, like takeover of deed, money or other asset. The empowered attorney shall attach his/her original power of attorney or its certified copy at the time of submitting the application. The power of attorney shall be put in public deed or private document with full probative value. There is no need to use witnesses, if the power of attorney was signed by the client him/herself. The power of attorney issued abroad shall be put in public deed or certified private document, and must have an apostille on it. In case of an application for national permanent residence permit, the decision will be made by the competent regional directorate upon 3 months after taking over the application. When assessing the submitted application for national permanent residence permit referring to treasury bonds by third country nationals possessing treasury bonds, the regional directorate in respect of the financial background takes into account the documents, certifying the subscription of treasury bonds, attached to the application for residence permit. The third country national submitting his/her application for a national permanent residence permit shall notify the authority about the establishment of his/her first place of housing in Hungary at the time of submitting his/her application, in case he/she hasn’t had a Hungarian place of housing yet. To notify the authority about the establishment of his/her first place of housing in Hungary, the third country national shall prove his/her right to dispose or use the property with official documents. The part for the domicile notification (“E” form) of the application form shall be signed by the applicant, as declarer, as well as the owner of the property and/or the person entitled to use the property in other way, as host. The document certifying housing conditions shall not be required to be attached if it has been already attached during the application procedure for the issuance or extension of residence permit and the place of housing of the third country national has not been changed and equal to the future place of housing. he/she is able to cover the costs of his/her health care on the basis of the attached documents supporting his/her livelihoods. who is the subject of expulsion or entry and stay ban, as well as SIS alert ordering entry and stay ban. is not eligible for a national permanent residence permit. If the Regional Directorate grants the application for the national permanent residence permit, it simultaneously issues the document of national permanent residence permit. At the time of submission of his/her application for issuance of the national permanent residence permit, the third country national has the possibility to ask for the personal takeover of the document at the regional directorate or its delivery to the foreign representation. At the time of issuing the document of national permanent residence permit, the previously issued residence permit must be restored at the regional directorate or at the Consular Officer, since this document is not valid any longer. The person with permanent residence status is entitled to stay in Hungary for an indefinite period, the validity period of the national permanent residence permit document is a maximum of five years, which can be extended by a maximum of five years case by case. The third country national, in possession of the national permanent residence permit, is entitled to enter and, within its validity period, stay in the territory of Hungary. Such a permanent residence permit entitles the third country national for a stay of three months within a period of six months in the territories of the Schengen countries. The national permanent residence permit is an official document authorizing third-country nationals to stay in Hungary for an indefinite period. The third-country national in possession of a national permanent residence permit, i.e. the person with permanent residence status, has the rights defined by the Constitution and by the laws. A person with permanent residence status is eligible for rights based on separate legislation as well. He/she is required to report any change in the place of residence registered during the permanent residence procedure to the district authority of his/her new place of residence. Any change in the place of residence shall not result in the change of the national permanent residence permit document. Registration of changed address shall be proved by the official certificate that verifies personal identity and address (address card), issued by the district authority, therefore the official certificate is to be kept together with the permanent residence document. If the residence permit was issued considering family links, is bound to notify the dissolution of his/her marriage and the death of his/her spouse to the regional directorate competent on the basis of his/her place of residence within 60 days after getting the legally binding judgment on the dissolution of the marriage, as well as the issuance of the death certificate. 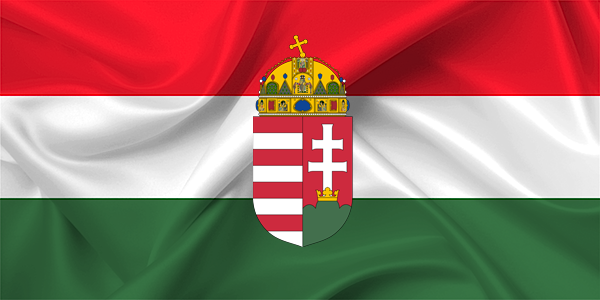 In case the third country national leaves the territory of Hungary with the aim of permanent residence, he/she shall inform the regional directorate of his place of residence of living about this. Simultaneously with the application of a third country national with respect to national economic interest, the spouse and underage child holding a residence permit are also entitled to apply for a national permanent residence permit. In the case of married couples another requirement is that their marriage was concluded at least two years prior to the submission of the application. - certification of clean criminal record issued by the authorities of the country of permanent or usual place of residence prior to the entry of Hungary, which is not older than six months.